Author/Opus: This is the 174th puzzle from our contributing puzzlemaster Prasanna Seshadri. 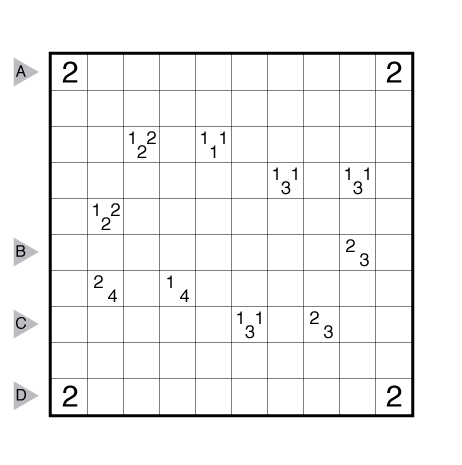 Author/Opus: This is the 172nd puzzle from our contributing puzzlemaster Prasanna Seshadri. 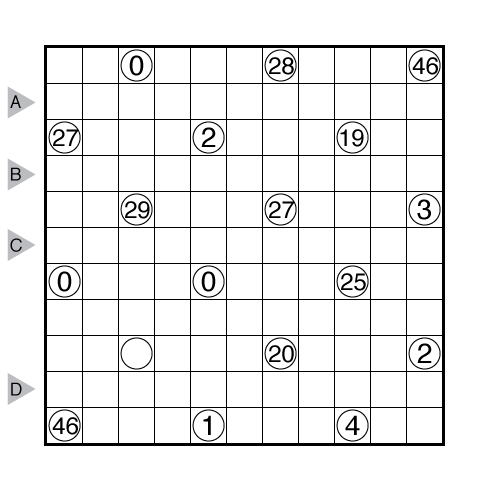 Author/Opus: This is the 171st puzzle from our contributing puzzlemaster Prasanna Seshadri. Answer String: For each cell in the marked rows/columns, enter the area of the polyomino it belongs to. Enter just the last digit for any two-digit number. Start with the 7th row, followed by a comma, followed by the 5th column. 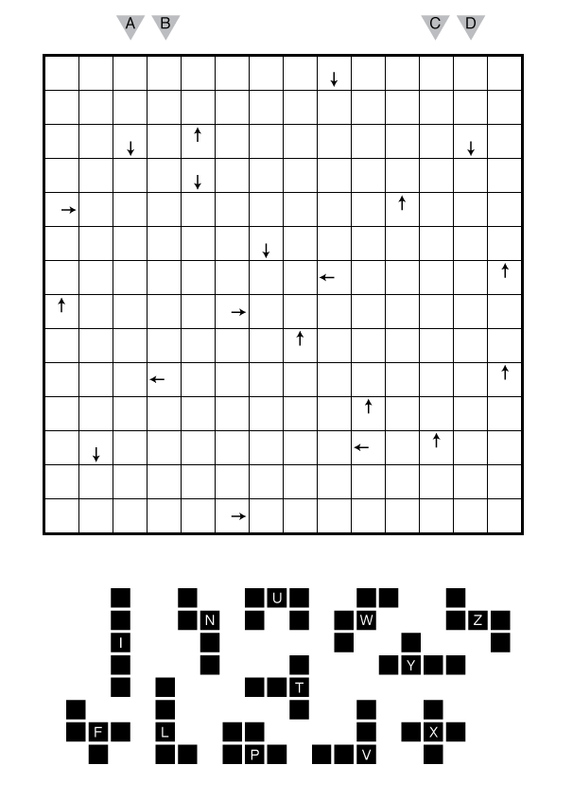 Author/Opus: This is the 170th puzzle from guest contributor Prasanna Seshadri. 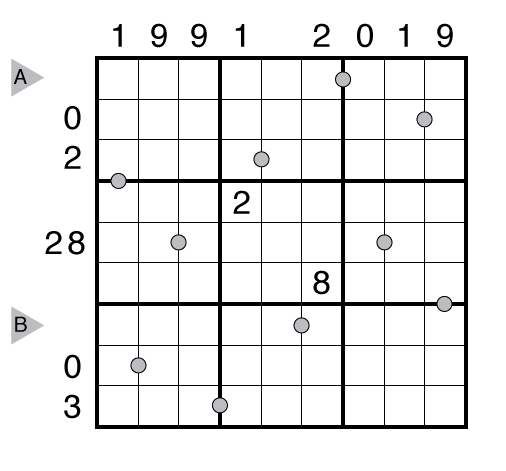 Answer String: Enter the length in cells of each of the shaded pentomino segments from top to bottom for the marked columns, starting at the left. Separate each column’s entry from the next with a comma. Note: Follow this link for more Pentopia puzzles and this link for other puzzles involving Pentominoes. 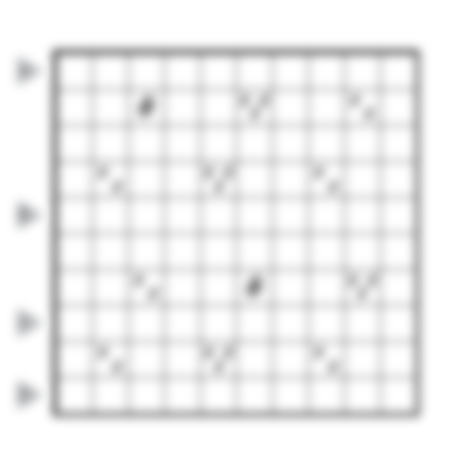 Author/Opus: This is the 169th puzzle from our contributing puzzlemaster Prasanna Seshadri. Answer String: Enter the length in cells of each of the shaded segments from left to right for the marked rows, starting at the top. Separate each row’s entry with a comma. 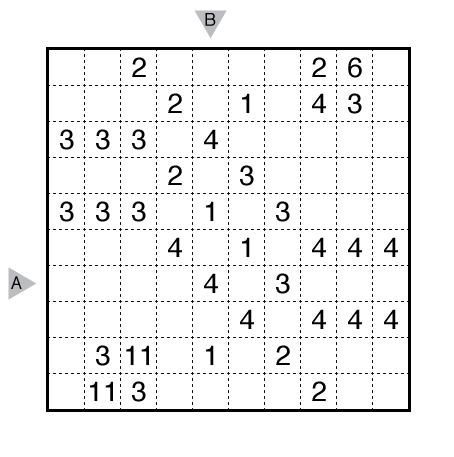 Note: Follow this link for other Kurotto puzzles. 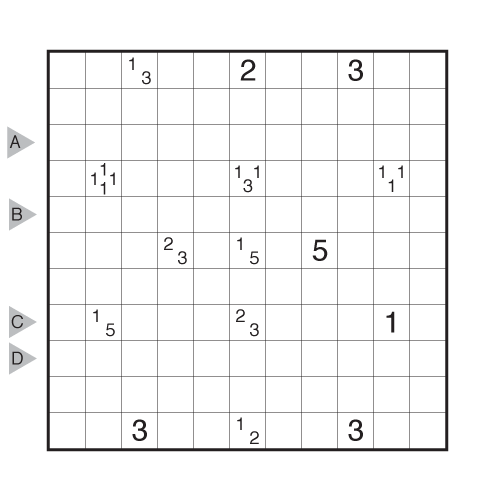 If you are new to this puzzle type, here are our easiest Kurotto to get started on.